About 80-90 percent of people use the internet to make purchasing decisions already – and those numbers are growing. It’s crucial to maximize your web traffic. People are out there searching – so make your site the one they see first. SEO solutions are the best way to bring more traffic to your site. If your site’s views are lacking, you need strong strategies to bring new customers to your page. Here, we’ve put together 10 great SEO solutions that will keep the views rolling in. Follow these tried-and-true tactics to grow your web traffic now. 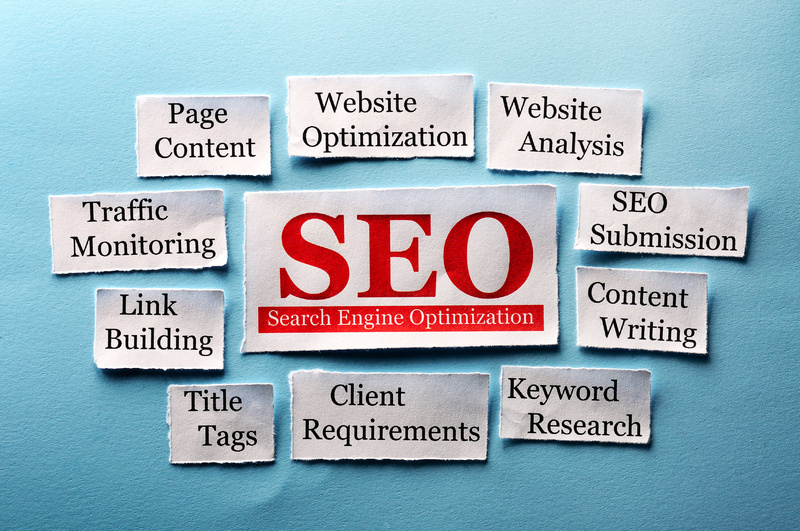 SEO, or search engine optimization, allows online searchers to find your site more easily. When people type a search term into Google, they get a list of results. Everyone is more likely to click on the results at the top of the page than those further down. Most people will never even click through to the second or third page of results. SEO is how you boost your site up to the top of that search results page. This means you are more likely to get viewers on your site, which translates to more customers for you. SEO solutions let you use proven SEO techniques to boost your traffic even further. Let’s take a look at the 10 solutions you need to start using today. The first step to creating a great SEO strategy should always be understanding your users. You probably already have a general idea of who your target audience is. However, the next step in driving your online traffic is getting an even better understanding of your audience. Taking a closer look at who’s viewing your site – and who you want to view your site – lets you create the content that will reach your audience more effectively. Find a way to gather information about your customers. Sometimes, getting it directly from them is best. If you have an email newsletter, for example, you might create a survey to send out asking people what they think about the experience using your site, and what other things they would like to see. You can also use Google Analytics to find out which pages on your site are most successful and which aren’t. This is a great tool that lets you see everything from where your viewers are coming from to how long they spend on a page. Also, pay attention to your social media activity. (If you’re not on social media yet, you should be!) Which posts get shared the most often? What comments are people leaving? This can be a great way to tell what sort of content you should focus on to get more traffic to your site. Local search is more important than ever before. More people are searching using mobile devices or traveling with laptops, which means they want results that are near their current location. Make your business easy to find by optimizing for local search if you have a brick-and-mortar location. A good flow of internal links keeps people on your site longer, which improves your credibility and boost your SEO. As you create new content for your site, look for ways to add in links to other relevant content you’ve posted. The more content you publish, the easier it is to do this. Anyone who has dipped a toe in the world of SEO knows about keywords. However, if you aren’t strategically researching your keywords, you might be using the wrong ones and missing out on valuable web traffic. If your keywords are too vague, they won’t do you much good. Instead, you need to target the specific keywords that your specific audience is searching for. For example, searches with the word “buy” in them are valuable, because those people are often looking to make a sale. The keywords you optimize for also need to sounds realistic, not stiff and sales-y. People use conversational tones in their searches – especially as more and more people are using voice-to-text functions. Also, keep in mind that keyword optimization is not an exact science. Not everything you publish will have the perfect ratio of keywords, but what’s important is that you are posting quality content that targets keywords effectively – not perfectly. High-quality content usually will have the keywords you want in it naturally. For example, if you publish a piece that answers a commonly asked customer question, it is more likely to come up when they search that question. Long-tail keywords are hard to research, but often come up in this organic way. The faster your site loads, the more traffic it will get. People don’t want to spend a long time waiting for a slow site to load, matter how valuable the content is. There are many different strategies for helping your site load faster. Some are simple, like using smaller photos, while other use more elaborate techniques. You can’t “trick” Google into thinking you have a valuable site when you really don’t. Don’t post useless content just to get a new post up or stuff in extra keywords where they don’t sound natural. The best SEO solutions don’t take the place of posting good, readable, interesting content. Instead, you need to work these solutions into natural-sounding posts that readers will want to see. Your site’s URLs should include keywords and give some idea of what the content of the page is. However, some research actually shows that it’s best to do this with a short URL, rather than a long one. Links back to your site are a great way to boost your site’s credibility, getting you more traffic. However, it only works if those links have value. You can’t buy links from shady, random websites to improve SEO anymore. In fact, that tactic will now hurt your rankings. Google and other search engines are good at spotting suspicious links. Instead, you need to strategically earn your links. The links you want are ones you’ll get naturally, not ones you pay for. If you are posting high-quality content, other people in your niche will want to link back to it. Use social media to promote your content, or connect with industry influencers, to boost your chances of getting those links. The numbers of people searching from laptops and desktops are shrinking. Optimize your site to look good on phones and tablets, otherwise, you’ll miss out on valuable traffic. Re-posting content from other sources won’t drive traffic to your site. Today’s SEO solutions are all about originality. You don’t want to republish content from another site. This can drastically hurt your search rankings. Instead, carefully avoid duplicate content and publish only new, original text. The world of SEO is always changing, but the strongest SEO solutions are often common sense. To bring your website more traffic, all you really need to do is create valuable, interesting content that people will want to see. You can fit in keywords, local search, and other strategies as you need to, but the content is the key. Content marketing can be hard to do on your own. A digital marketing service can help you boost traffic much more quickly. Need digital marketing assistance? Contact us – we can help.